Thanks to a wide range of revolutionary features, in addition to a number of new spaces and interactive experiences meant to excite and inspire, you’re guaranteed a vacation like no other. 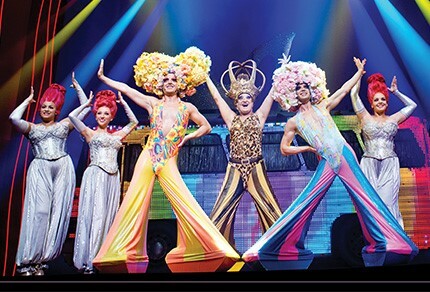 Awarded Best Cruise Ship Entertainment by Frommer’s, Norwegian Epic keeps the bar high with two new Broadway shows: Ballroom Blitz and Priscilla, Queen of the Desert. Not only is Norwegian Epic offering world-class performers but a new wave of accommodations as well - from Studios, designed and priced for the solo traveler, to the private Haven. Add more than 20 different dining options and you'll understand why this is Freestyle Cruising on a truly grand scale. Serving a wide variety of culinary delights to please every palate, the complimentary dining options include two main dining rooms, a help-yourself buffet and a variety of casual cafés, grills and on-the-go choices. Plus, the Main Dining Rooms offer a menu that changes daily, Chef's Signature Dishes and carefully selected wine recommendations, guaranteeing a different culinary adventure with every visit. Or treat yourself to a night of gastronomic proportions at one of the many specialty restaurants. Sip your favorite cocktail as you select from choice cuts of Certified Angus Beef® at Cagney’s Steakhouse. Enjoy delicious pasta made with the freshest ingredients inside the rustic and chic Italian eatery, La Cucina. Or savor French cuisine at Le Bistro. No matter what you choose, the specialty dining options feature the tastes you’ll crave. When it comes to the entertainment on Norwegian Epic, get ready to experience a show that explodes with jaw-dropping choreography, heart-pounding music and breath-taking moves. Watch the sizzle and passion of ballroom dancing unfold with Ballroom Blitz. Be dazzled by Cirque Dreams & Dinner, featuring world-class acrobats and aerialists. Or let loose at Howl at the Moon, the World's Greatest Rock N' Roll Dueling Piano Bar. It’s showtime. All the time. Your incredible adventure begins the moment you step aboard Norwegian Epic. Soar high above paradise on a parasail or snorkel the turquoise waters of Great Stirrup Cay, NCL's private island in the Bahamas. In Ocho Rios, go river tubing down the cool waters of the White River while taking in the beautiful, lush scenery all around you. New friends are waiting to be made on Grand Cayman, as you pet and feed friendly stingrays in the wild. Finally, the island of Cozumel off the tip of the Yucatan Peninsula awaits you, known for its fantastic fishing, snorkeling and diving opportunities, not to mention the Mayan ruins of Tulum and Chichen Itza. Inside staterooms start at just $649* per person. Balcony staterooms start at $1069* per person. BOOK NOW FOR ADDED VALUE! Book before 20MAR2017 and receive a reduced deposit of $125 per person! After 20MAR2017, full deposit amount is $250 per person. Final Payment is due on or before 01DEC2017. Contact St Cloud Travel with questions or to confirm your stateroom! 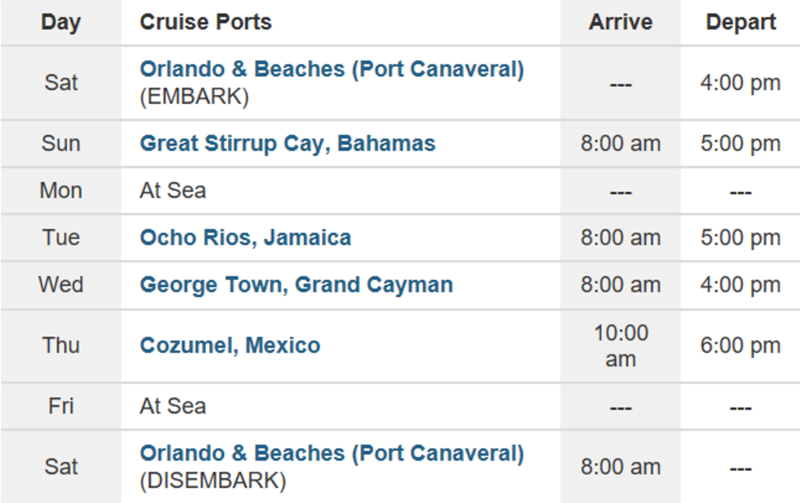 IMPORTANT: PROOF OF US CITIZENSHIP IS REQUIRED TO CRUISE TO THE CARIBBEAN. YOU MUST HAVE A PASSPORT VALID FOR AT LEAST 6 MONTHS AFTER THE END OF THE TRIP OR AN ORIGINAL BIRTH CERTIFICATE AND GOVERNMENT ISSUED PHOTO ID (DRIVERS LICENSE.) NON-US CITIZENS: PLEASE ASK ABOUT THE REQUIRED TRAVEL DOCUMENTATION. *Pricing is per person based on double occupancy in categories IC (inside) and BA (balcony). Government Taxes and Fees are an additional $154.67 per person. Pricing and availability is subject to change until confirmed and deposited. *Single, triple, or quad occupancy will affect pricing and may not be available at above rates. Accessible staterooms are offered in select categories which may not be at the same pricing as offered in the specified categories above. *Travel protection plan pricing is based on cost of cruise fare per person. TPP should be paid in full at time of booking with deposit. *Beverage packages add 18% gratuity at time of purchase. Pricing subject to change until purchased. Gratuity fee is wived if chosen as part of the bonus Free at Sea offer.